"Female friends were very important to Thomson. They were his cover for his homosexuality. A major purpose of Tommasini's biography is to place a homosexual composer before the public. Thomson himself didn't do that for the obvious reason that he lived in an intolerant era. He was, in essence, petrified that he might be unmasked, as almost happened in 1942. Police raided a gay bordello in Brooklyn. Thomson was there. He was arrested but not charged. For months he lived in fear, especially when Walter Winchell wrote: 'That musician mentioned in the Brooklyn house will embarrass his employers. He's got many gunning for him, and this will give them a very loud haw-haw.' The power of the Herald Tribune saved him." 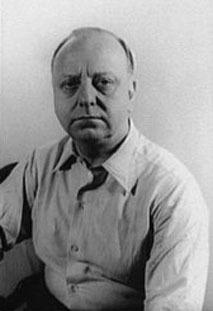 Charles Ward, The San Francisco Chronicle, 16-Jul-1997, review of Virgil Thomson: Composer on the Aisle by Anthony Tommasini.